Advising fosters intellectual, moral and personal growth in students. It is informed by the teachings of Ignatius Loyola, who advocated that Jesuit schools should educate students who will lead and be a leaven for good. This requires that students obtain both a firm base of knowledge and a strong sense of personal responsibility. 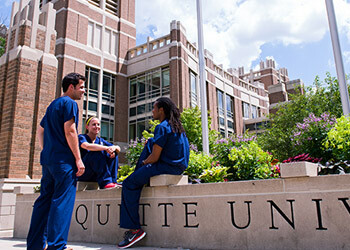 Thus, Marquette seeks to educate on both the intellectual and moral level. The mark of academic success is the ability of students to function as well-educated, responsible members of society. View full document.